Helia-D is opening a herb and beauty centre in Tolcsva, in the heart of the famous Tokaj wine region for those interested in beauty care and in the charms of the wine region, the cradle of Tokaji Eszencia, a nectar legendary for its healing properties. Helia-D, the most well-known company in Hungarian quality skincare, has renovated a stunning 16th-century villa to bring the world of skincare and beauty products closer to those interested in quality cosmetics. Helia-D uses plant-based active ingredients in its products, and the Herbal House is the perfect opportunity to show plants in its garden suitable for healing and beautifying the visitors. Old prints of herbs and plants adorn the corridors of the Baroque mansion which has an extensive herbal library. The three exhibition rooms neighbouring the library present the long history of the beauty industry, starting from the collection of herbs and travelling through the history of the Hungarian beauty business, including success stories from the wine region, like Estée Lauder. Besides providing information and knowledge, visitors can get hands-on experience of preparing cosmetics. The centre offers cream and/or soap-making in the activity room as well as special, more sophisticated workshops ranging from the preparation of the Mádi Mátka handmade soap to the alchemy of perfume distillation. Naturally the Herbal House also caters for those looking to enjoy cosmetic treatments. The beauticians based in the elegant beauty salon pamper visitors with plant-based Helia-D Professional and Zelka Natural Cosmetics. What else can make beauty from outside and within more complete than a cup of herbal tea or a glass of Tokaj? These can be enjoyed under the vaulted ceiling of the tea-and-wine bar where the visitor is surrounded by timeless splendour, a fitting setting for culinary adventures too, such as special wine tasting dinners. The visitor can also take home herb and cosmetic products available in the little shop – the perfect gift to share or a great way to remember the Herbal House. 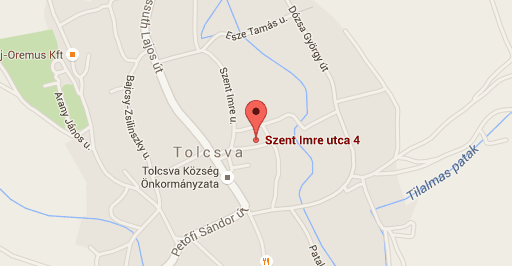 Address: 3934 Tolcsva, Szent Imre utca 4.